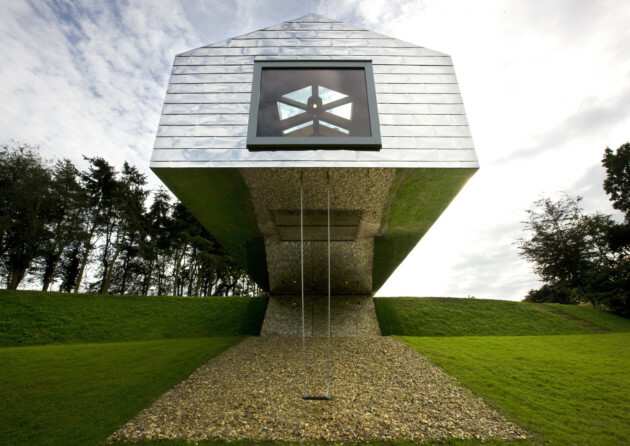 Fans of Antony Gormley will not only be able to admire the artist’s work, they’ll also be able to spend a night within it. Gormley’s ‘Room’ suite has been recently opened as part of The Beaumont, Mayfair’s latest hotel, and comprises a crouching cubist figure that juts out from the hotel’s façade. Inside, Gormley has used the four square metres to create a cocoon from London life. In a clearing among the trees sits this replica Iron Age roundhouse, fit for a Celtic chief. Based on a roundhouse found at the Bodrifty Iron Age Settlement just three fields away, guests are truly able to escape the trappings of modern life during a stay here. The atmospheric experience is further enhanced by a hand-crafter four-poster bed and the chance to swap stories around the flickering firebowl in the evenings. If you’ve dreamt of nights lounging in a safari lodge but the thought of hours on a plane and the dreaded jabs have put you off, there is an alternative. Kent’s Livingstone Lodge offers a safari experience with guests waking up to zebras, wildebeests and giraffes walking past the veranda. Enjoy a dawn safari before returning for some authentic African dining. Looking for a little equilibrium in your life? This implausible self-catering accommodation may just be the ticket! Located in a tranquil setting on the doorstep of a nature reserve and just a few miles from the Suffolk Heritage Coast, The Balancing Barn offers panoramic views of the surrounding area. Inside, sleek and angular design complements the property’s playful positioning. A Room for London. © William Eckersley. The winning design in the ‘A Room for London’ competition, this rooftop ‘boat’ is so popular that potential guests are entered into a ballot and are only allowed to stay for one night at a time! Perched on top of the Southbank Centre’s Queen Elizabeth Hall, as though deposited there by a flood of biblical proportions, there’s no need to pack your sea legs for a night in this vessel. During a stay, guests can enjoy panoramic views across the capital with Big Ben and the London Eye off the port bow. While we may not all be living in a yellow submarine, as The Beatles once boasted, we can at least book a stay in one. Located in the city famous for its connections with the Fab Four, this converted barge with its psychedelic interiors, gold discs from The Beatles and the mod scooter from the film Quadrophena provides a quirky city stopover. Found within the city’s bustling Albert Docks, there are plenty of restaurants just minutes away, while the city’s sites are also within easy reach. Book a stay here and you’ll be whistling The Beatles’ tunes for weeks. Not many people would relish a night in the cells, unless of course they happened to look like the rooms of Malmaison Oxford, a chic hotel that occupies the city’s former gaol. The formidable entrance leads through to stylish rooms with touches that hark back to the building’s former use, including heavy-duty bolts on the ‘cell’ doors of the bedrooms and sections of bare brick walls cleverly incorporated into the interior design. Far from the offerings of a prison canteen, guests can enjoy dining in style at the hotel’s brasserie, where an eclectic mix of classic dishes and tempting cocktails are on offer. You might have thought a decommissioned Victorian fort set out at sea and beautifully transformed into a luxury hotel would be a pretty unique accommodation offering. And you’d have been right if it wasn’t for the fact there are now two of them! The established nine-bedroom Spitbank Fort hotel was joined by its larger cousin, the 22 bedroom No Man’s Land Fort, last autumn.